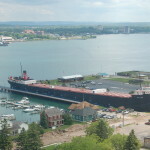 Visit the Soo Locks – Watching a freighter go through the Soo Locks should be on every Michigan resident’s bucket list. These boats are up to 1,000 feet long and carry everything from tons of iron ore to grain bound for Atlantic Ocean ports. 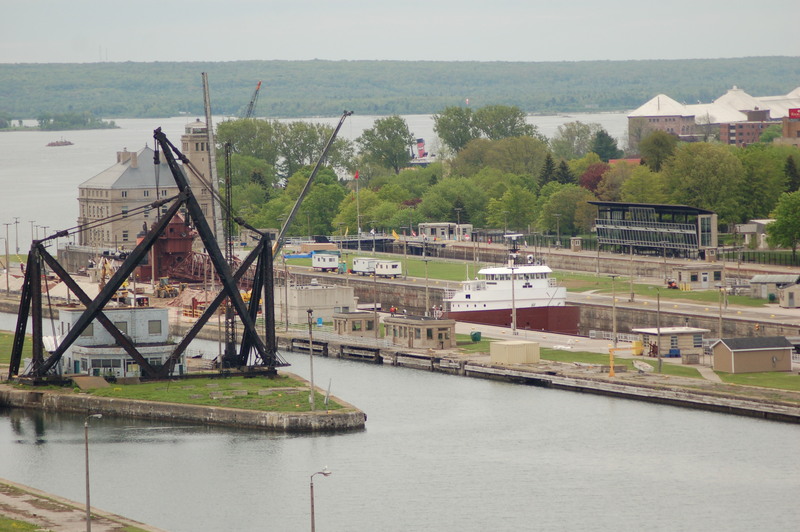 The locks help them transit between Lake Superior and the lower Great Lakes, a water level difference of 21 feet. 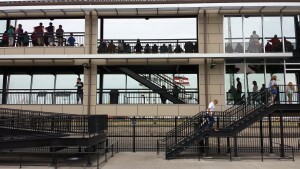 A two-story covered observation deck provides unobstructed close-up views in any weather conditions, and the visitor center is full of information and displays (as well as up to date ship traffic info). The rest of this park features a fountain, marine artifacts and many benches. E. Portage Ave. west of Osborn Ave. 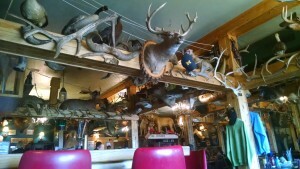 Enjoy lunch or dinner at the famous Antlers restaurant – With more than 200 taxidermy animal mounts on the walls, and of course antlers and more hanging from the ceiling, this local restaurant leaves quite an impression. 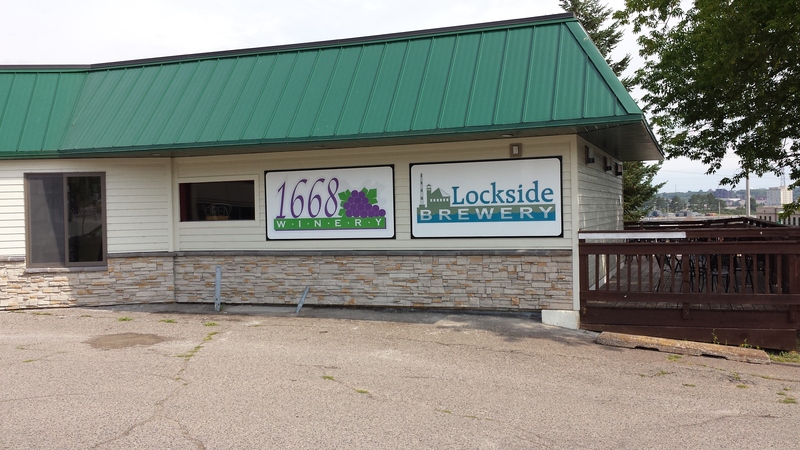 It has a warm, family atmosphere and is located close to the Soo Locks and both campgrounds in the city. A hearty selection of Northern Michigan food is available, with favorites being the Paul Bunyan burger and Soo Stew Canoes. 804 E. Portage Ave. 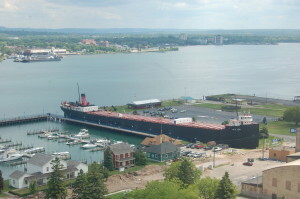 Check out the view from the Tower of History – What better way to see Sault Ste. Marie than from 210 feet above it? 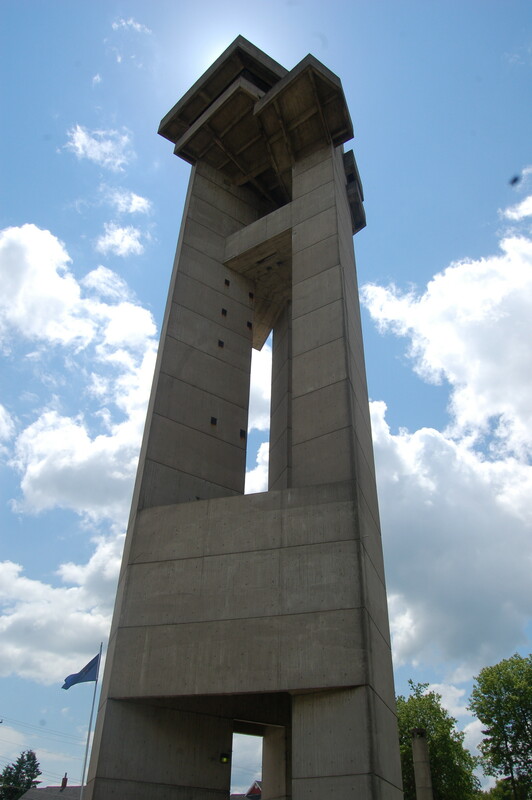 Built in the 1960s as part of a planned complex honoring Catholic missionaries, the tower became a tourist attraction in the 1980s. 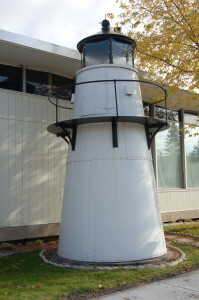 There are still historical exhibits on the main floor, and an elevator takes visitors to the upper level observation deck. From there, a 360 degree view of Sault Ste. 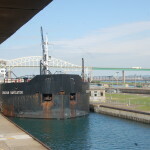 Marie, the Soo Locks, St. Mary’s River, Canada and more can be had. Tour the Museum Ship Valley Camp – The SS Valley Camp served for more than 50 years as a Great Lakes freighter, carrying everything from iron ore and coal to grains and stone. The Valley Camp is 550 feet long and was able to carry a load of 12,000 tons. 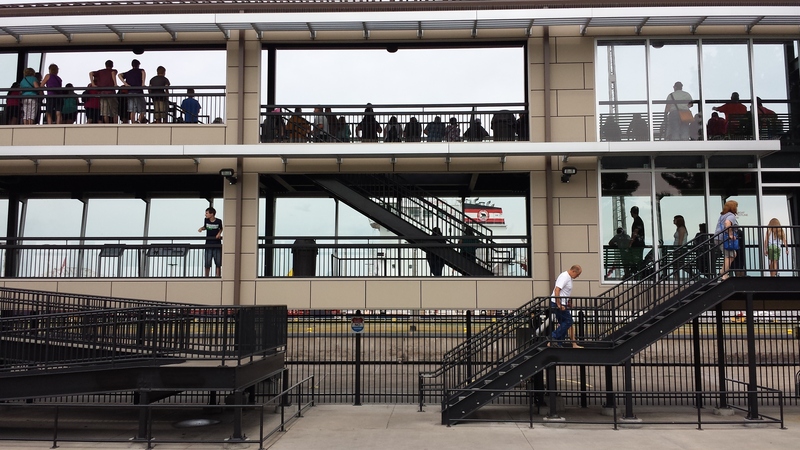 Visitors can now tour the ship, which features two of the lifeboats from the SS Edmund Fitzgerald and most of the original fixtures and furnishings from when this vessel was in use. Johnston St. at Water St. 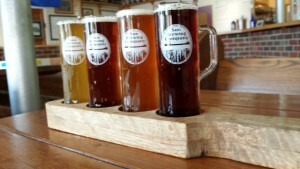 Grab a drink at Soo Brewing Company – The first craft brewery in Sault Ste. Marie opened in 2011 and succeeds by keeping things simple – they make and serve good beer. With a cozy, laid-back seating area this is a great spot to hang out and relax with a beer or two (We recommend Maggie’s Irish Red and Soo Wheat). They don’t serve food, but you are welcome to bring your own take-out in, have food delivered or munch on complimentary pretzels and peanuts. Soo Brewing Co. is within walking distance from the Soo Locks and downtown’s shopping strip. 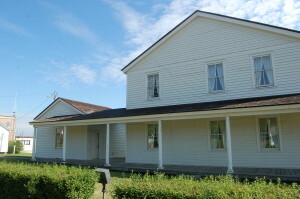 Stop at the historic homes on Water St. – Just to the west of the SS Valley Camp is a row of four historic buildings. Closest to the ship is the green Kemp Coal Dock Office (industrial history museum), and next to that is the red Bishop Frederic Baraga House (under renovation). Next is “Elmwood,” which once house the office of Henry Rowe Schoolcraft (open for tours). 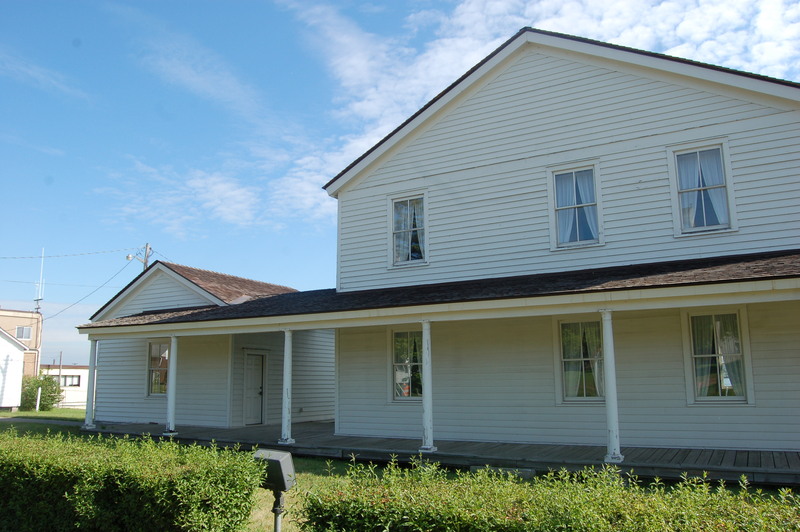 Finally, the John Johnston House is the former home of one of the first European settlers in the area, a successful fur trader who married a Chippewa woman and built this home in Sault Ste. Marie. 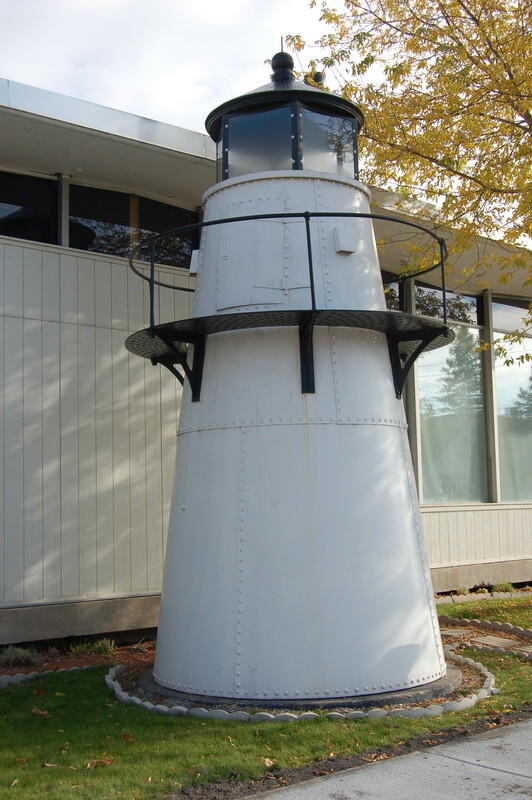 Water St. between Glenn Ave. and Johnston St.
Take a Soo Locks Boat Tour – When you visit Sault Ste. 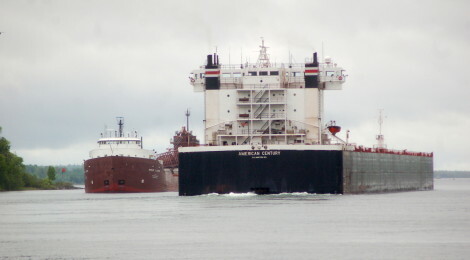 Marie, not only can you watch freighters transit the Soo Locks, but you can also take a boat tour and experience it for yourself. Soo Locks Boat Tours runs an excellent trip, where visitors experience going through the locks while learning their history and maybe even seeing a freighter up close. 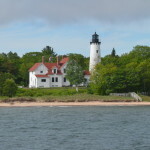 They also offer lighthouse cruises, dinner cruises, themed dinner cruises and more – including special fireworks cruises on July 1 (Canada) and July 4 (U.S.). 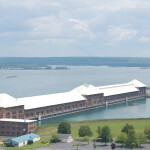 The views from the water add a completely different perspective to the engineering marvel that the locks are, and gives a great view of the American and Canadian shorelines. 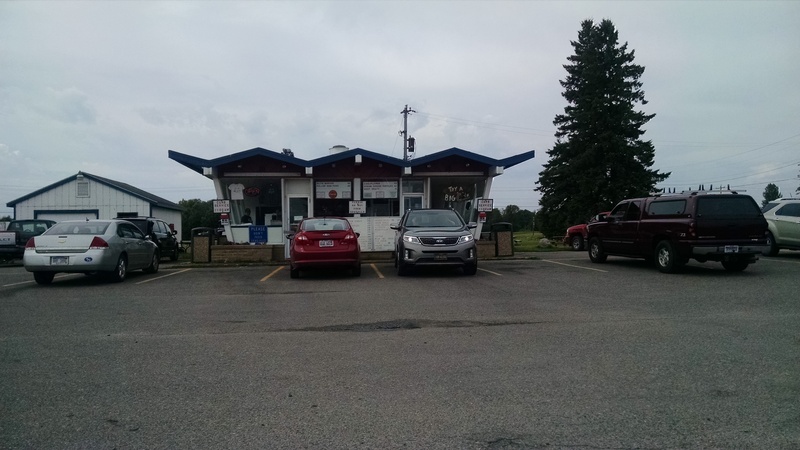 515 and 1157 E. Portage Ave.
Clyde’s Drive-In – This local favorite has great burgers, fries, onion rings, and milkshakes. It’s a bit of a throwback to years ago, and frequently draws praise for service, atmosphere and prices. One of the best things about Clyde’s is the location, since you can watch the Sugar Island Ferry and large freighters pass while you’re eating, or take your food to go and have a picnic at Rotary Park. 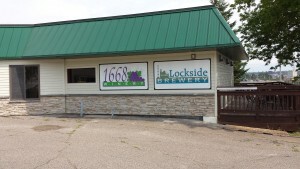 Try the beer and wine at 1668 Lockside Winery & Brewery – A new addition in 2015, Lockside offers beer, wine and food as well as a patio with views of passing freighters. We were treated like family when we visited in August 2015, and we enjoyed sampling a few wines and trying out a couple beers (The Citra SM*SH was my favorite). See freighters up close at Rotary Island Park – We had been visiting the Soo Locks on family vacations for years before I discovered Rotary Island Park, but it is now my favorite place in the state to view freighters. 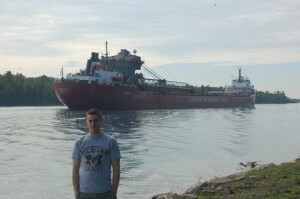 Located where ships make a turn to head downriver to Lake Huron or upriver to head to the Soo Locks, from the shore here you’re only a few hundred feet away from these massive vessels. The park offers picnic tables, a playground, bathrooms, and a fishing area for kids. If you want to see ships and avoid the crowds at the locks, this is a great spot – we like to grab food from a local restaurant and then head over here to watch for ships. Riverside Dr. east of Aune-Osborn campground and Sugar Island Ferry dock, about 2.5 miles from the Soo Locks.